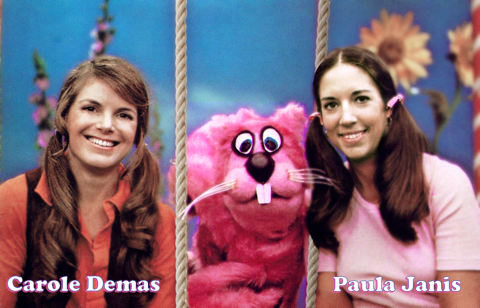 CAROLE DEMAS and PAULA JANIS, the stars of The Magic Garden, a highly acclaimed and popular TV show which enjoyed a 12 year run on WPIX-TV, New York, are loved and remembered by a generation of children and their families. Friends since their student days in the Mixed Chorus at Midwood High School in Brooklyn, they have an impressive list of credentials, both as educators and entertainers. During their years as teachers in the New York City School System, Carole and Paula combined their teaching and performing talents. They formed a quartet “The Festival Line Singers,” with their brothers, and sang nightly concerts as part of the New York Shakespeare Festival in Central Park for several seasons. CAROLE, Broadway and TV legend, continues her distinguished career as an actress and singer in theatre, television and film. is best known for her critically acclaimed creation of the female lead, “Sandy”, in the original Broadway blockbuster, Grease. She originated the title role in Stephen Schwartz’s The Baker’s Wife in the premier production in Los Angeles and played “Luisa” in Off-Broadway’s longest running show, The Fantasticks, at New York’s Sullivan Street Playhouse for two years. Carole created the ingenue lead in Fred Ebb's first book musical Morning Sun and starred on PBS in Great Performances/ Showstoppers -The Best Of Broadway. She was recently reviewed as “a powerhouse of musical theatre”, “A vocal champion” and “consummate artist”. Carole’s singing has been described as “shimmering..” ”thrilling..” “..warmth and sweetness with surprising power”. With thousands of performances in leading roles on and Off-Broadway and in major regional theatres, TV, Films, Radio, Recordings, in Concert, Cabaret, and her singing for the Champlain and NY Shakespeare Festivals (4 full seasons), Carole has stolen the hearts of audiences and critics alike. She was also seen in guest star turns on classic prime-time shows such as Kojak, Mannix, Barnaby Jones, in recurring roles on daytime dramas and is a veteran of over 200 commercials as well as jingles and voice-overs for radio and TV. Recent TV/Film appearances include BLUE BLOODS and ALLEGIANCE. Carole has a Bachelor of Arts degree from the University of Vermont and Masters Studies in Early Childhood Education at New York University. More about Carole can be found at http://www.caroledemas.com. Carole’s husband is Designer, Audio Engineer and Producer, Stuart Allyn. 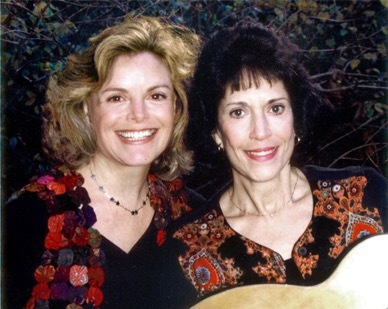 PAULA traveled widely as a musician and lead singer with the folk trio “The Wee'Uns”, performing in Greenwich Village cafes, on TV and at Carnegie Hall. She holds a Bachelor of Science degree in Drama from Skidmore College, an M.A. in Early Childhood Education from New York University and has completed course studies towards a Ph.D. in Early Childhood Education. She became a director of Head Start programs in New York City and performed on educational records and videos for children. Her teaching experience ranges from Nursery School through 6th grade in New York City and Westchester, and includes Enrichment Programs, creation of Curriculum Assessment Tools, and Vocal Music Education. Paula’s children are Victoria, Monica and Gregory. 25 West 52nd Street in NYC. Watch Carole and Paula in all your favorite episodes! CAP Productions, Inc., all rights reserved.